The D.C. area endures the second-longest average commute every day. It takes drivers an average of 32.2 minutes on a one-way commute to get to and from work. 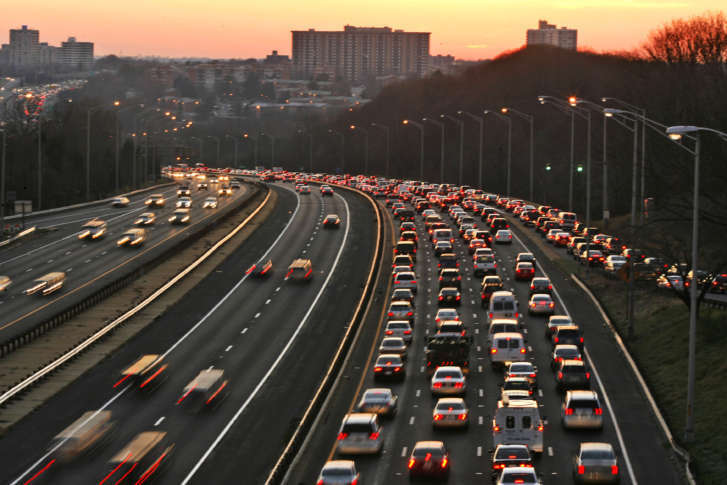 WASHINGTON – New Census Bureau data finds that the D.C. area endures the second-longest average commute every day — trailing only commuters in East Stroudsburg, Pennsylvania. It takes drivers an average of 32.2 minutes on a one-way commute to get to and from work. Commuters spend more time getting to and from work if they use public transportation, with a one-way commute averaging in at 48.8 minutes. Also making the 20 longest commutes is Towson, Maryland, with the 11th-longest commute. Drivers there spend an average 29.4 minutes commuting. Those taking public transportation spend an average of 56.1 minutes getting to work.